A Chicago area man spent more than a month in the hospital after a dentist allegedly dropped a dental file down his throat. Now the man is receiving more than half-million dollars. An Illinois man received a $675,000 settlement this week after his dentist allegedly dropped a dental file down his throat during a root canal procedure. The patient, Pawlowicz, told WGN-TV that the dentist seemed to be looking for something after the procedure, but the dentist downplayed the situation and never followed up with the patient. “She told me when she found it she will be calling me,” Pawlowicz said he began to feel severe pain in his abdomen. An X-ray revealed the presence of the file, and Pawlowicz filed a lawsuit, and this week his legal team announced a six-figure settlement with the dentist, Beata Pawlowicz’s attorney. 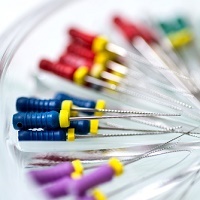 A May 2014 article in the Journal of the American Dental Association found damage from swallowed dental objects can be minimized if caught and retrieved early. If the object isn’t located quickly, more serious consequences—even death—can occur. A 1996 study of 78 swallowed object cases in Austria found 86% of the objects passed through the gastrointestinal tract spontaneously without complication. Eleven percent were removed with endoscopy, and 3% required surgery. Kozar-Warchalowska has not commented publicly on the settlement. A search of Illinois professional licensure database shows no record of disciplinary actions against the dentist.